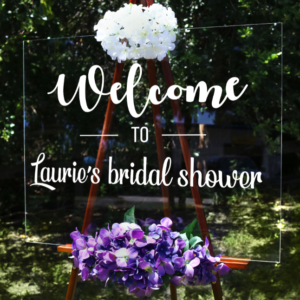 We tend to assume that all brides include in their Registry ideas for their Bridal Shower Gift, and this is not always the case. 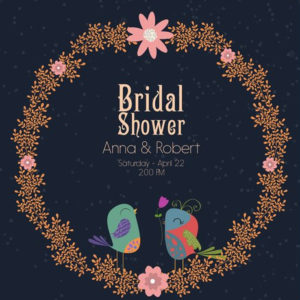 So let’s say you are the host of the bridal shower and you are clueless about what to give the bride-to-be; or even if there is a Registry, by the time you check it all the great options are gone! There is no need to panic at all. At Personalized by Kate, we help you with fantastic ideas and items that, we are confident, the bride-to-be will love! Budget: some experts agree in a less than USD 100 policy, but personalized items, as simple and basic as a coffee mug, are considered acceptable. As long as you pick something, she will definitely adore and use, and you add the proper touches to it. Etiquette: fast rule! Even if you are gifting the couple with a bridal shower present, that does not leave you off-the-hook of getting a wedding present. (hence our above advice comes in handy). Why? Well, first of all, wedding presents are usually items both of them enjoy or use; this one, the bridal shower present, is just about her. Packaging: if you are not the host, check with her beforehand about the party thematic or colors. It is considered bad taste to wrap a present utilizing wrapping that does not go along with the rest of the decoration. Trust us, you do not want to arrive with a tropical, palm trees-themed paper to an all black&white classy party… you just don’t do that. Now comes the fun part, choosing the gift. Brides love, adore, like (did we mention love?) anything personalized it. So, despite whatever you choose from our catalog, you can be sure it will be a winner. Personalized bags: tote bags, cosmetic bags anything that keeps the bride’s favorite well-stored. If you add “Bride to be,” her initials or a reference to her up-coming honeymoon, she will be delighted. “Mr. and Mrs.” Glasses. This one is thoughtful, lovely plus you will earn points with the groom. You may add the couple’s new last name to complete the customization. We carry many models from champagne flutes, to beer glasses to shot glasses. Pick one and cheers! Luggage tags. The Bride may say she’s only focusing on the wedding, but we know she is eager to begin her honeymoon with her beloved one. Get her a pair of personalized luggage tags. They are incredibly useful. Wedding hangers. The bride-to-be wants to keep her dress intact, before and after the wedding. Therefore giving her personalized wedding hangers, not only helps to preserve it but adds on to the flair of the wedding extravaganza. Customized kitchen tools. Brides-to-be love to show off their cooking skills and pamper their hubbies. If the bride-to-be is a cooking lover, she will enjoy these! The whole idea, behind a bridal shower gift, is to remind that girl how important she is in your life and how happy you are for the life she is about to embark. Check out countless options and Personalized by Kate and let the happily ever after begin.